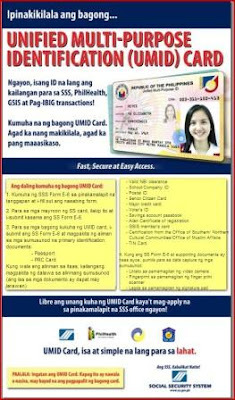 Home digitized SSS ID government ID government institution new SSS ID card Social Security System SSS SSS ID Unified ID System The New SSS ID! Yup, this is a digitized ID card like the size of an ATM. And yes, it works like an ATM since you can withdraw your desire loan through ATM using this card. Aside from being an enhance digitized ATM ID card, this new SSS ID is unified! 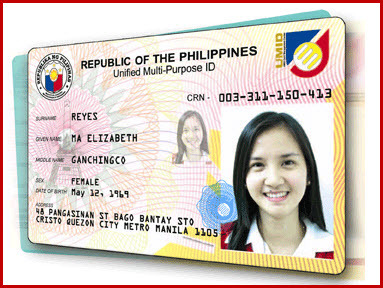 It's a unified ID since the other government IDs were merged into it. Your SSS, GSIS, Pag-Ibig, and PhilHealth numbers were all in it. So whenever you need to loan in other government institution or you want to make a transaction, no need to present your other government cards. Only this ID will work for them! Do you already have this new SSS ID card?! Well, if you'll ask, I didn't yet have it! Mine is still the previous SSS digitized card issued to me last 2007 when I got my first job. schedule of releasing of UMID ID.